Three friends descend upon an art auction in search of some excitement. Mike Mackenzie-retired software mogul, bachelor and fine art enthusiast-wants something that money can't buy. Fellow art-lover Allan Cruickshank is bored with his banking career and burdened by a painful divorce. And Robert Gissing, an art professor, is frustrated that so many paintings stay hidden in corporate boardrooms, safes and private apartments. After the auction-and a chance encounter with crime boss Chib Calloway-Robert and Allan suggest the 'liberation' of several paintings from the National Gallery, hoping Mike will dissuade them. Instead, he hopes they are serious. 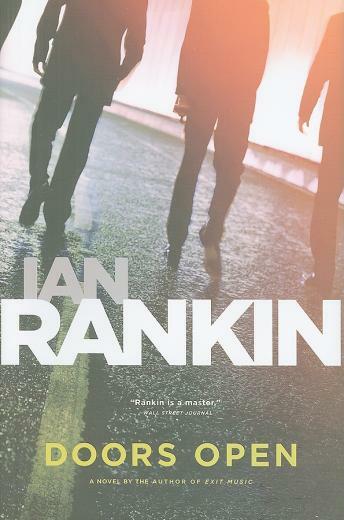 As enterprising girlfriends, clever detectives, seductive auctioneers and a Hell's Angel named Hate enter the picture, Ian Rankin creates a highly-charged thriller, a faced-past story of second guesses and double crosses that keep changing the picture, right until the harrowing finish.